Originally printed on February 1, 2019 in the Diss Mercury. BLOMFIELD SHIRLEY Sadly passed away on January 14th, 2019, at Ipswich Hospital, aged 81 years. Much loved mum, nan, great-nan and sister. She will be sadly missed by all her family and friends. Funeral service to be held at West Suffolk Crematorium on Monday, February 11th, 2019 at 10.30 a.m. No donations. 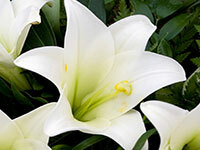 Family flowers only please may be sent c/o Meredith Greengrass Funeral Service, 15 Ipswich Street, Stowmarket IP14 1AH. (01449) 709860.